During our recent 2 weeks in Switzerland we spent a few days checking out all the best things to do in Montreux, which is located along the shores of Lake Geneva. We had a fabulous few days checking out all the attractions in Montreux as well as the surrounding area. 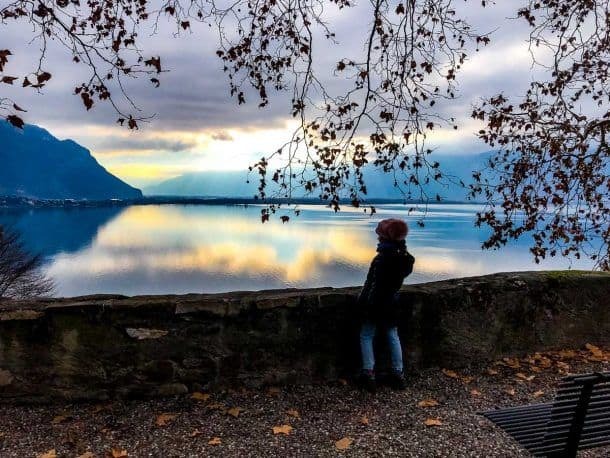 If you’re going to visit Montreux and wondering what to do in Montreux with your family, then you’re going to find this guide very helpful. 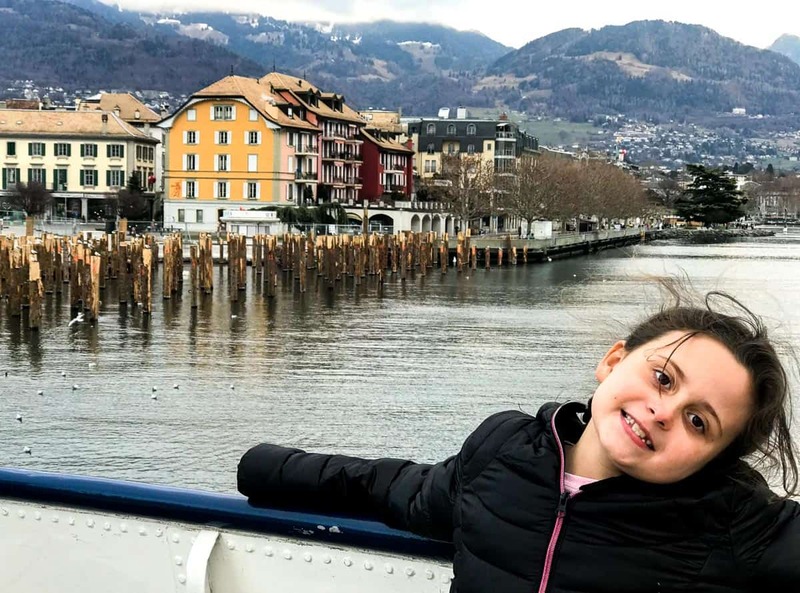 In this guide, I detail all the places to visit in Montreux with children of varying ages, from tiny toddlers to teenagers, some great day trips from Montreux, as well as how to get to Montreux and recommendations for family friendly Montreux hotels. Click here if you want to see our Montreux itinerary. Montreux is a picturesque city, located on the shoreline of Lake Geneva and at the foot of the Swiss Alps. 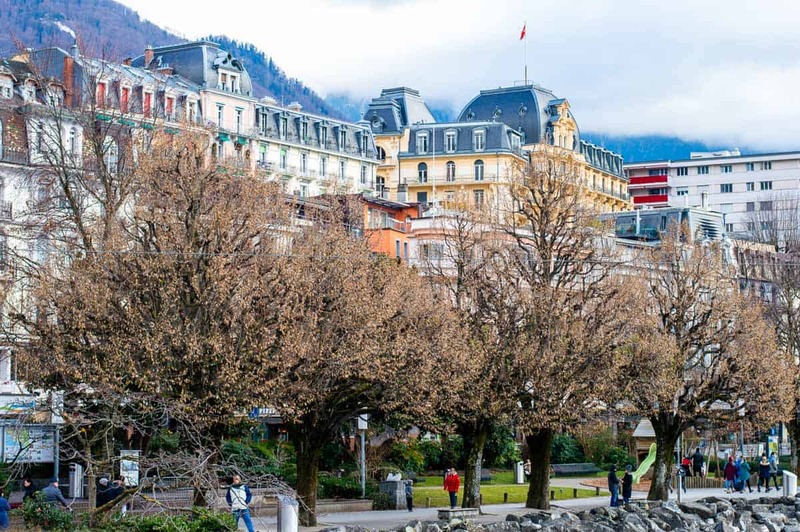 Whilst not as popular on the tourist track as other Switzerland cities, with Montreux having been home to numerous celebrities including Freddie Mercury, Charlie Chaplin, Igor Stravinsky and Ernest Hemingway; there is clearly something special about the city. When it comes to Montreux attractions, the number one place to visit would have to be Chateau de Chillon Montreux. 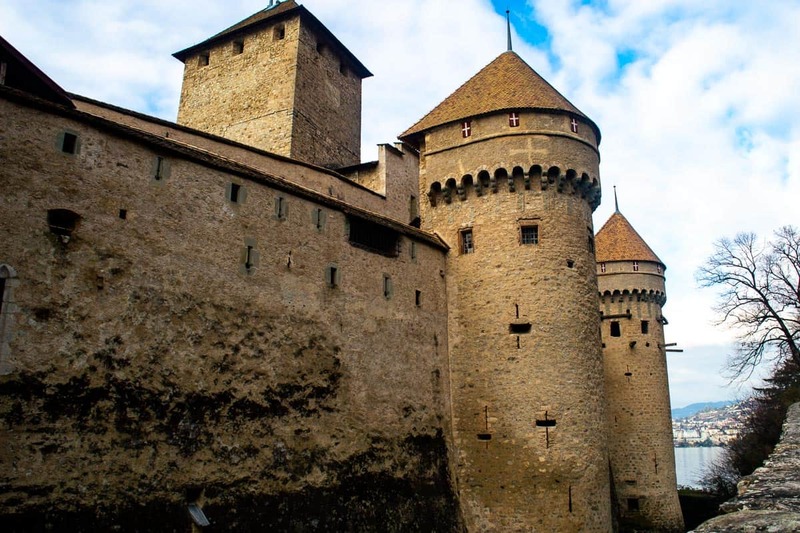 This Montreux castle is easily the most visited historic sight in Switzerland and is a great place for families to visit with kids of all ages. In fact, we visited lots of castles during our time in Europe and Chillon castle Montreux was easily our favourite. This castle in Montreux is located on a small rocky island just off the shores of Lake Geneva and has stood here since the 12th Century, making it an exceptionally old attraction. Its current state is a result of several centuries of different constructions and alterations. More than 400,000 people cross the drawbridge to visit Chillon Castle year. 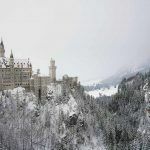 Visitors come from across the globe for their chance to see the wall painting from the 14th century, the subterranean vaults, parade halls and the bedroom which has been preserved in its original form; dating back to the time of Bernese rule. The castle has several rooms which you can visit which have been restored to what they would have once looked like. The castle also includes a dungeon, / cellar, four great halls, three courtyards and a series of rooms and stairwells. To see the entire complex will definitely take up at least a few hours to half a day. Myla and I spent around 2 hours and still didn’t see every corner of the castle. You can explore the complex either on your own, with a guided tour or with a rented audio guide. There is also a discovery tower for children. Myla did this and it was great for her to get interested in exploring the castle. The castle can easily be reached by taking the 201 bus to Chillon stop or the ferry to Villeneuve Gare. TIP: If you have the Swiss Travel Pass, entry into the castle is covered. Click here to learn more about the Swiss Travel Pass. Location: Avenue de Chillon 21, 1820 Veytaux, Switzerland. 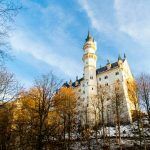 Opening Hours: Opening times vary slightly depending on the month of the year, so make sure to double check before you plan, but the majority of the year the castle is open from 9 AM until 7 PM, 7 days a week. Pricing: Adult – CHF 12.50, Child – CHF 6.00, Family – CHF 29.00. Entry is free for Swiss Travel Pass holders. Another one of the top things to do in Montreux is to take the Riviera Tour Cruise along Lake Geneva. The CGN cruise departs from the Montreux dock and takes 2 hours. It stops at several ports on route including Vevey, Chillon and Villeneuve and you can essentially get on and off as you please. So, this is a great way to combine one of the nearby attractions with a relaxing cruise. However, if you are limited for time – like we were – simply stay on board and take the 2 hour cruise in one go and enjoy the stunning landscape. On the cruise you will see the Swiss Mountains, the Chillon Castle and the Swiss Riviera. This Montreux boat trip departs year-round, however during winter they only happen on Sundays. TIP: If you have the Swiss Travel Pass, your CGM cruise is covered. Click here to learn more about the Swiss Travel Pass. Location: The Montreux Dock is located just 5 minutes by foot from the Montreux rail station. Opening Hours: Click here for cruise times. Pricing: Adults 36 CHF | Cruise is free for Swiss Travel Pass holders. Queen fan anyone?? We certainly are and so one of the first things – actually it was the very first thing we did after checking into our hotel in Montreux – was to check out the Queen Studio Experience at the Montreux Casino. 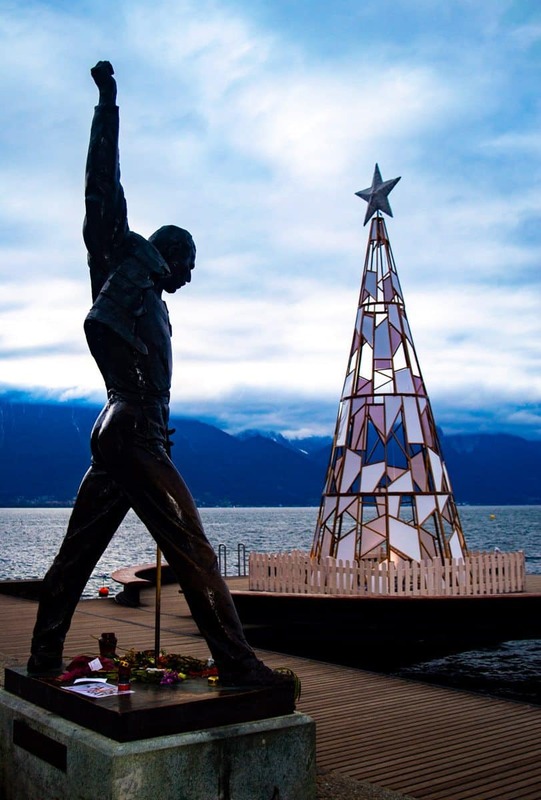 As the story goes, Freddie Mercury visited the Montreux Jazz Festival in 1978, and fell in love with region. He very quickly decided to settle there, living in a flat with a view of the lake. 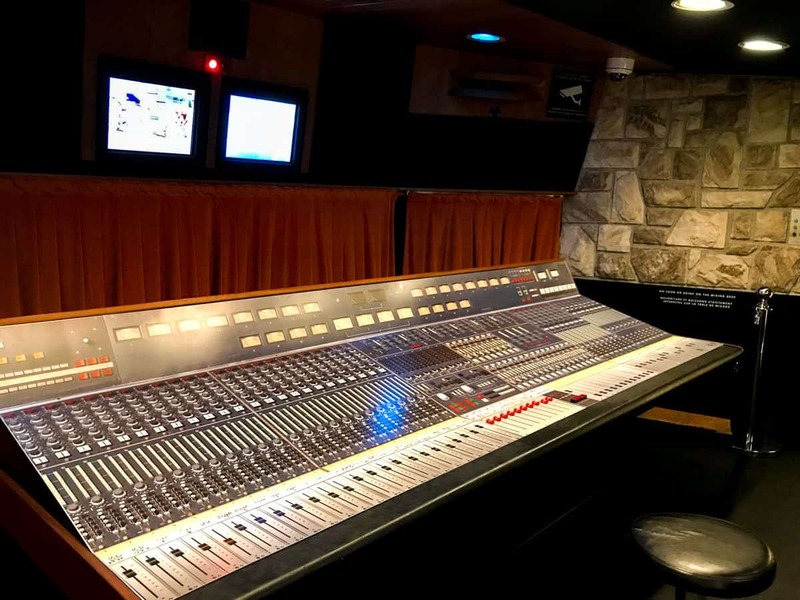 He soon after purchased the “Mountain Studio”, a recording studio where Queen recorded 7 of their hit albums; including their final album “Made in Heaven”, which was finished soon after Freddie’s death. Now the studio has been turned into a small exhibition where fans can come and celebrate their love for all things Queen. It is a tiny exhibition, but here you can listen to their top singles, see costumes worn by Freddie, see the band members hand written song lyrics and notes and other personal memorabilia. The control room where they recorded their songs has in fact remained in its original state since the days of Queen working there. Any true Queen fans will get a real thrill from standing in the very room that Queen once did. The great thing about Queen’s music is that I loved it when I was a little girl, my parents used to listen to it. I still love it as an adult and now Myla loves it too. She enjoyed visiting the exhibition just as much as I did and loved the thought that these superstars once stood where she was. 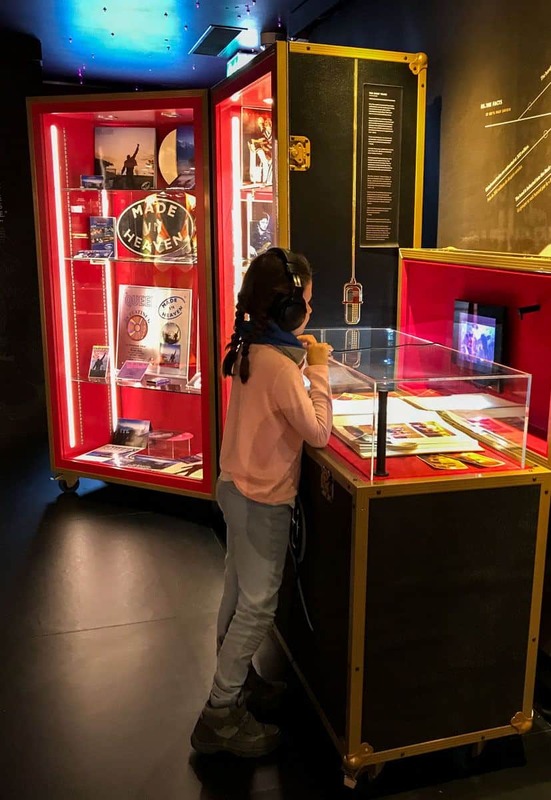 If anyone in your family is a Queen fan, make sure you add the Queen Studio Experience to your Montreux sightseeing list. Location: Casino Barriere de Montreux, Rue du Theatre 9, 1820 Montreux. Opening Hours: 10:30 AM – 10:00 PM – 365 days a year. Whilst there, don’t forget to go and check out the Freddie Mercury Memorial Statue. It’s only a few minute walk from the exhibition along the Promenade towards the centre of Montreux. The statue is a true marvel and great photo opportunity and has flowers year-round by devout fans. If you’re visiting Montreux during the warmer months, I recommend you take a walk along the picturesque Lakeside Promenade. You can easily pair this with a trip to see the Chillon Castle or even into Vevey. Hugging the banks of Lake Geneva, the Montreux Promenade extends from Vevey to Villeneuve, a long walk that should be taken slowly to truly soak in the natural beauty of Montreux and Lake Geneva. It’s an easy and flat walk, which will bless you with one-of-a-kind views across the lake to Chillon Castle or Vevey depending on which way you decide to go. Along the trail you will notice animal sculptures and beautifully maintained flower beds, all this just adds to the natural wonder and beauty of the Lakeside Promenade. If you have the time and the weather is warm you can even go swimming in the lake. For families, there are also plenty of playgrounds along the way – Myla had me stopping at a few of them. Location: Quai Edouard-Jaccoud, 1820 Montreux. If you’re looking for more of a history of the Montreux region, then the Museum of Montreux is your one-stop-shop. 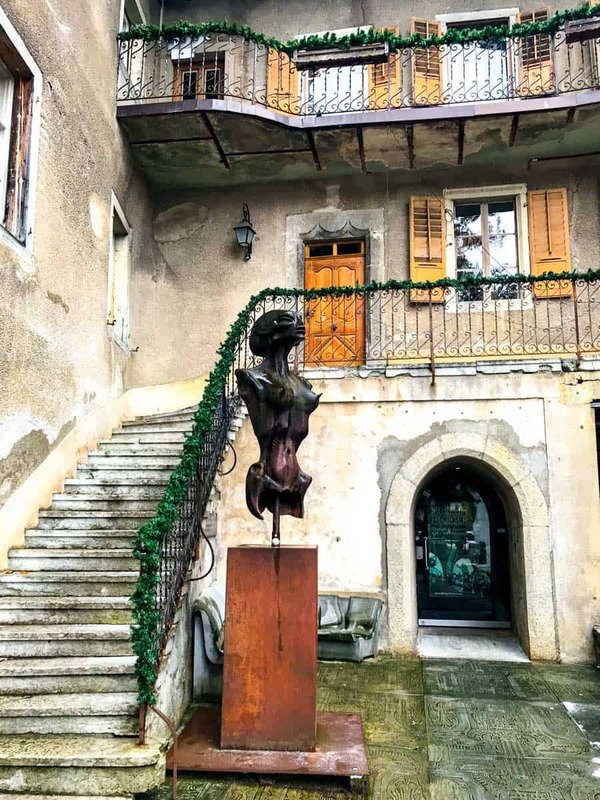 Even the location of the museum itself has historical significance as the Museum is located in a collection of 17th century wine grower’s houses that are listed on the architectural heritage list of Vaud. The museum’s collection is divided into four different areas; history, soil, tourism and hospitality. On display you will find a diverse collection of artefacts that include; knife sets, traditional utensils, coins, lace-making / embroidery equipment, fire branding devices and a vast display of over 2,200 thimbles. Opening Hours: April – October, 10 AM / 12 AM – 2 PM / 5 PM, November – March: Closed. A quick and easy think to do whilst you’re holidays in Montreux is to ride the funicular from the Territet station and up to the Glion Station. From here it’s a short walk to the gardens of the old Glion Hotel, where once upon a time English Lords and Lady’s would enjoy their holidays. Here you can also enjoy views across all of Montreux and Lake Geneva. Even the funicular ride itself is pretty cool, as it’s really just like a little elevator, as it’s machine operated and just leaves on a set schedule. The Territet funicular is easy to reach by taking the train or bus to Territet station and it leaves every 15 minutes. Instead of going all the way back down to Territet station – get off at the mid station Collonge and walk along Rue due Temple into town. You are still very high up here and the views are fantastic. One of the highlights of our Montreux holidays was our visit to the Alimentarium Museum. 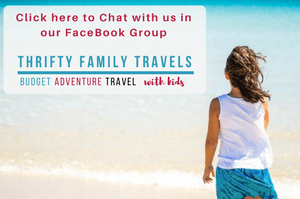 This is the perfect attraction for any family no matter what age your kids are, as here there is something for everyone. In fact even people with no children will really enjoy this museum. This museum is all about food – where food comes from, how we cook and make food, the social aspects of food and how we use food for nutrition. In fact the Alimentarium is the first museum in the world about food and they have been analysing our diet from historic, cultural and scientific points of view for the better part of three decades now. The Food Sector: In this section you learn where food comes from, how it’s produced, how it’s transported, how it’s cooked and so on. The Society Sector: Talks about how different cultures eat different foods, and touches on how we eat and other social aspects to food. The Body Sector: This section looks at the nutritional value of food, how our body uses food to function and the choices we make around our food. The Alimentarium teaches visitors all about food in a range of excellent interactive way – so children will have no idea they are even learning. The museum is full of computer games, touch screens, interactive displays such as the full-size kitchen, oversized replicas such as the human intestine you can walk through and much more. We spent a number of hours here and still didn’t see every part of it. I found it equally as interesting as Myla did and would have loved more time to read all the various displays – but with so much fun to be had Myla wanted me to keep on moving! Before you leave the museum, make sure to take advantage of the great photo opportunity opposite the entrance, an 8-metre-high fork rises out of the ground, easily the most well-known sight of the Alimentarium. Also the Charlie Chaplin statue is a few metres away too. The museum is located in Vevey (so add this to your things to do in Vevey list) which is a short bus ride away from Montreux. 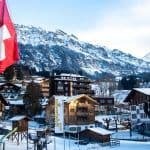 Tip: If you have a Swiss Travel Pass, entry is free. Click here for more information about how we saved money travelling with a Swiss Travel Pass. Location: Quai Perdonnet, 1800 Vevey. Opening Hours: 10 AM – 6 PM (April – September) 5 PM (October – March). Pricing: Adult – CHF 13.00, Child – CHF 4.00 Entry is free for Swiss Travel Pass holders. If you’re a fan of Charlie Chaplin, then a visit to Chaplin’s World is a must. In fact even if you’re kids have never heard of him, a visit to this attraction dedicated entirely to the great 20th century filmmaker; is well worth it. Chaplin’s World is separated into three key areas, excluding the shop where memorabilia can be purchased; the Manor, the Studio and the Park. The Manor is dedicated entirely to recreating the daily, personal life of Charlie Chaplin. Rooms have been recreated with furniture and personal items, giving you the feel of experiencing Chaplin’s life first hand. Learn about Charlie Chaplin’s family life and his final 25 years residing in Switzerland and all the iconic parties and celebrity guests that visited the home. The Studio is an area dedicated to present to visitors the cinematic world of Chaplin. The tour starts with a montage of images, outlining Chaplin’s life and how is work progressed with him. Following this is a backdrop of 20th century history, giving guests a larger picture of the world surrounding the filmmaker. Eventually you move onto a street designed after Easy Street, one of the most iconic settings of his movies. Finally, the Park is a 10-acre park that surrounds the Studio and Manor, offering tourists unbeatable views of Lake Leman and the Alps. I know I’ve said this a lot…but what a photo opportunity! 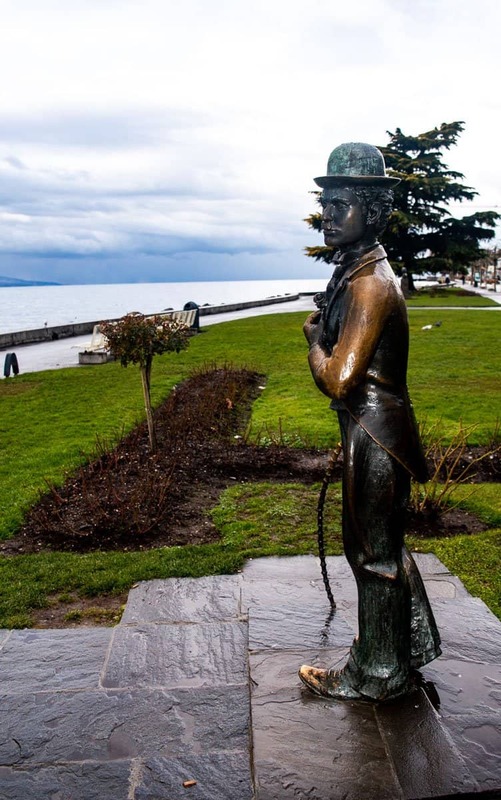 A great day out for the family that is educational and fun, Chaplin’s World is certainly worth a stop on your travels and is also another one of the Vevey attractions. Also as mentioned above you can go see the Charlie Chaplin statue which is located not too far from the giant fork outside the Alimentarium. Location: Route de Fenil 2, 1804 Corsier-sur-Vevey. Opening Hours: Varies depending on time of year, make sure to check online here. Hours vary from 9 AM until 7pm. Pricing: Adult – CHF 25.00, Child (6-15) – CHF 18, kids under 6 are free , Family Pass – 69 CHF – Click here to book your tickets online. 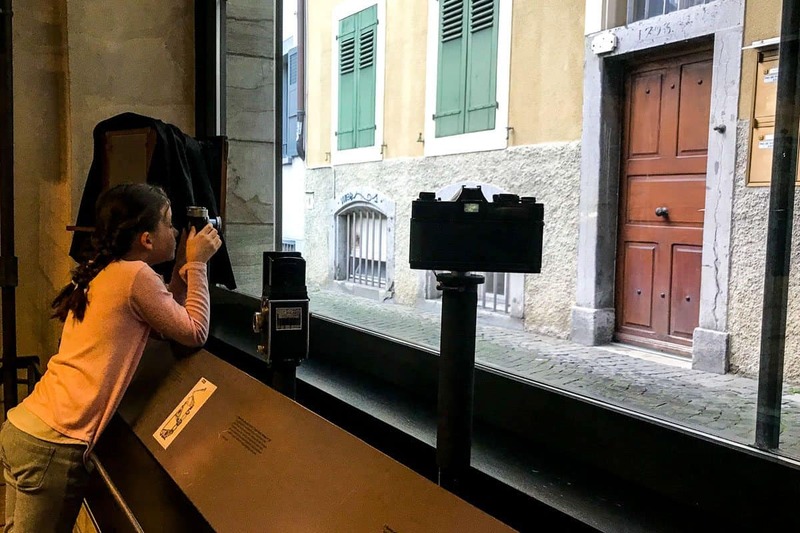 If you’re into cameras and photography you may want to stop off to visit the Swiss Camera Museum, another one of the Vevey things to do. The Swiss Camera Museum shows visitors the invention and development of the camera. Opening in 1979, from the “camera obscura” to the digital camera, the museum compounds a collection of photographic machines that will certainly keep you engaged. With many old photographs being collected at the museum as well, you can see the progression of the camera from its first inventors to our modern, ‘selfie’ era. Throughout the year new temporary exhibitions are erected to keep things fresh and entertaining for all visitors. For the kids, throughout the museum there are games, texts and installations available specifically for the younger generations. I will warn you though everything is in French and is not translated to English. So whilst the museum looked extremely interesting, we found it difficult to understand what we were looking at given we don’t speak French. However if you and your kids do speak French this is an educational and engaging attraction with an incredibly low price. Location: Grande Place 99, 1800 Vevey. Pricing: Adult – CHF 9.00, Young People (Under 18s) – Free Entry for Swiss Travel Pass holders. 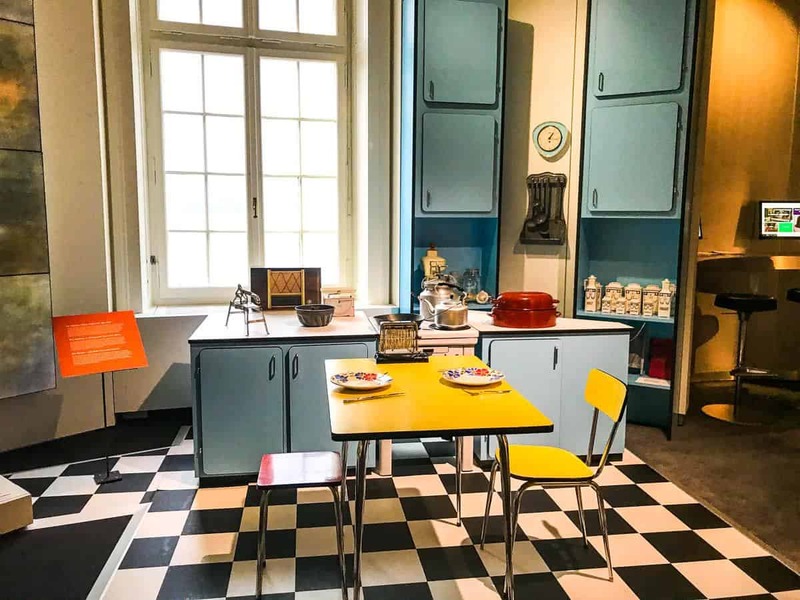 Whilst the Swiss Museum of Games, seems like it will be a hit with the kids, this museum is more aimed at adults or older children as it really looks at how games have evolved over the centuries. Visitors are taken through the history of games, from ancient times to the modern day. There are a few parts of the exhibition where you are encouraged to play with games, which are from both classical modern times. Many of the games are behind displays and involve reading text, which is not ideal for little ones. For adults with an interest in the history of games, check it out – otherwise for families with young children I recommend you give it a miss. Location: Au Chateau, 1814 La Tour-de-Peilz. Pricing: Adult – 9.00, Senior – 6.00, Child – 3.00 – Free entry for Swiss Travel Pass holders. If you’re a wine lover (like me!) then a visit to the Lavaux Vineyard Terraces is an absolute must! Imagine it; over 760 hectares of stunning vineyard terraces nestled along the shore of Lake Geneva and at the foot of the mountains. And of course, there is delicious Swiss wine too! This entire area has in fact been UNESCO World Heritage listed since 2007. This is due to the monks that since the 12th century have been making wine in the region. Today the area covers 14 villages and numerous wineries. The area can be visited on foot, by bicycle or even by train. Or even take a 2 hour guide tour – click here for more information. Myla and I took the train from Montreux out to Lavaux, getting off at Lutry. We didn’t have a lot of time so only visited the one winery – Terres de Lavaux. 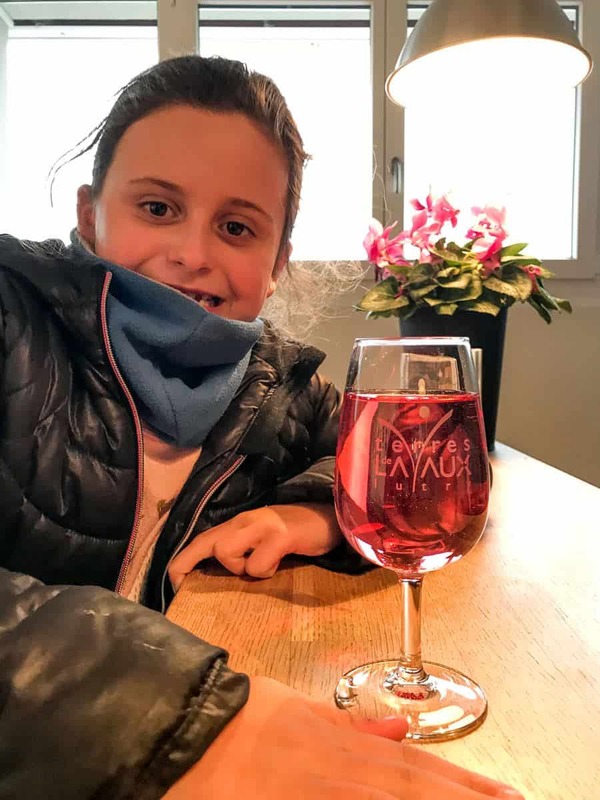 Terres de Lavaux, have a spacious beautiful tasting room and kids are welcome (yah – wine for Mum and Dad!). In fact Myla was even provided with her own little taste test of some red sparkling soda. Me on the other hand decided to partake in their 5-wine tasting which cost 12 CHF and included some bread as well. You can also opt for the 3-wine tasting for 9 CHF if you prefer. The wines here were amazing – I highly recommend them all. I tried quite a few including the region’s specialty Chasselas. I also went home with a few bottles for later and even took one home to Andy – yep I resisted the urge to drink it and it made it all the way home! Location: Chemin de la Culturaz 21, 1095 Lutry. Opening Hours: Mon – Fri, 9 AM – 12 PM and 1:30 PM – 6:30 PM. Saturday, 9 AM – 12:30 PM. Sunday, Closed. 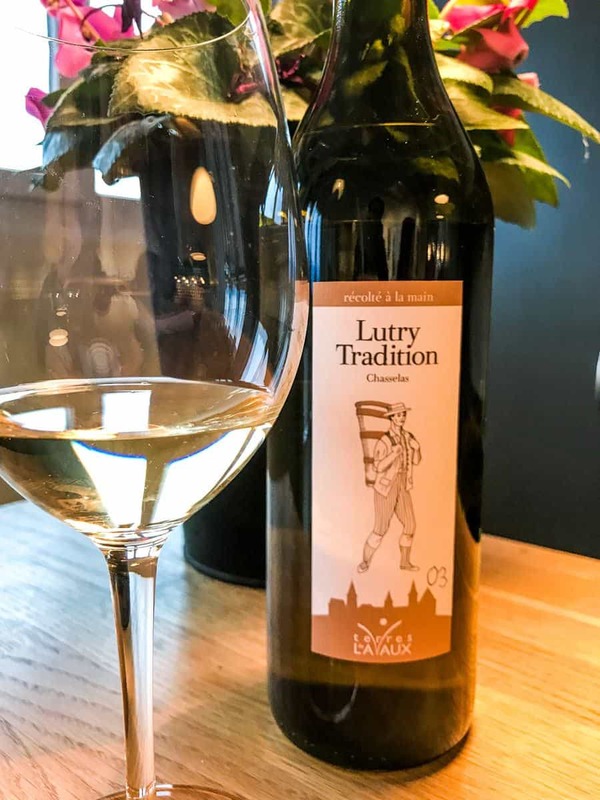 Pricing: Wine Tasting – 5 wines for CHF 12 or 3 wines for 9. If you love chocolate – I mean who doesn’t? – then why not join a workshop where you can make your own chocolate masterpiece. Myla was begging me to do this one, but we just didn’t have time. We did go check out the store though! At Laderach the entire family can join a chocolate workshop. There are various different workshops to choose from depending upon your interest. Even if you can’t make a workshop, go visit the store. 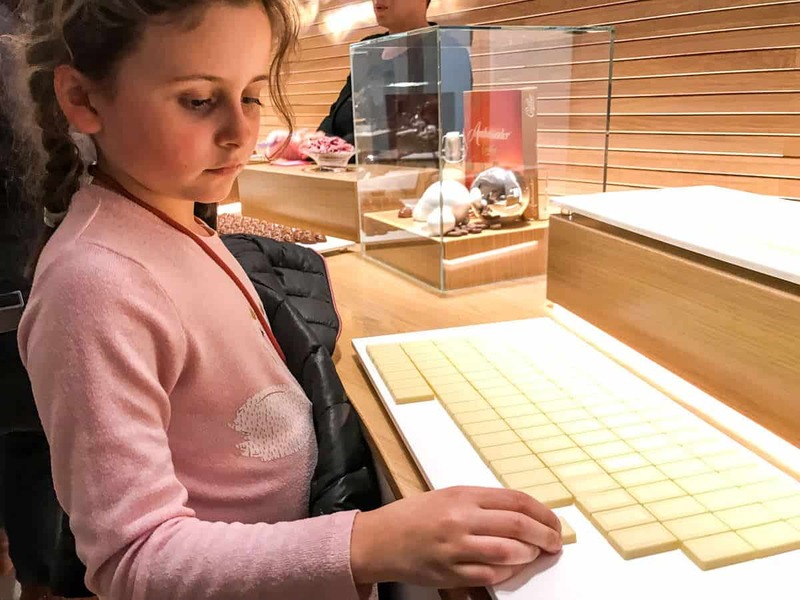 Here you can watch the professional chocolatiers hard at work, check out the small chocolate exhibit where you can learn about the chocolate making process and of course purchase some delicious Swiss chocolate. Location: Rue du Theatre 8, 1800 Vevey. Opening Hours: Workshop times vary so check in store which is open Monday to Friday 9 am to 6.30 pm and Saturdays 8 am to 5 pm. Have you heard of the Chocolate Train? This tourist train leaves Montreux and takes passengers to the stunning medieval town of Gruyères where you get to enjoy both chocolate and cheese. This would have to be one of the most popular day tours from Montreux. 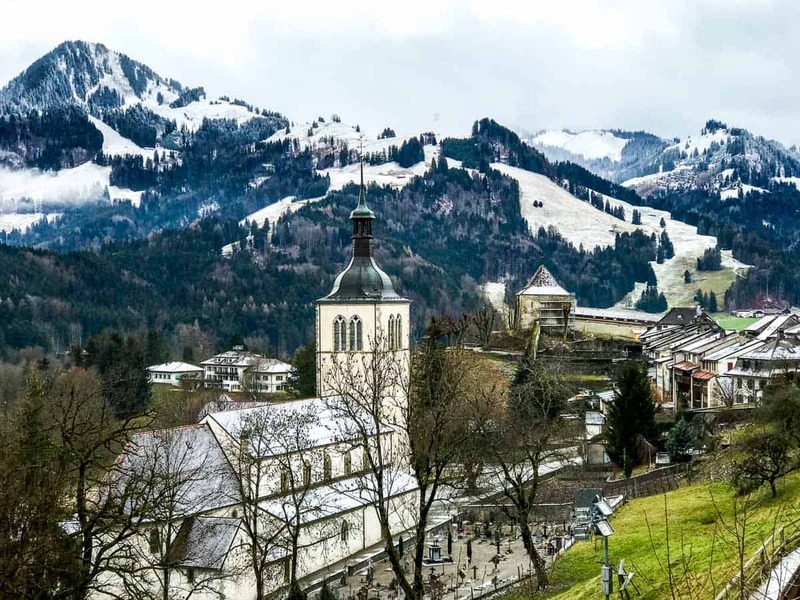 The train makes two stops during the day, the first being Maison Cailler where you can enjoy a chocolate factory tour and the second stop is at Gruyères where you can visit the Gruyère cheese factory. 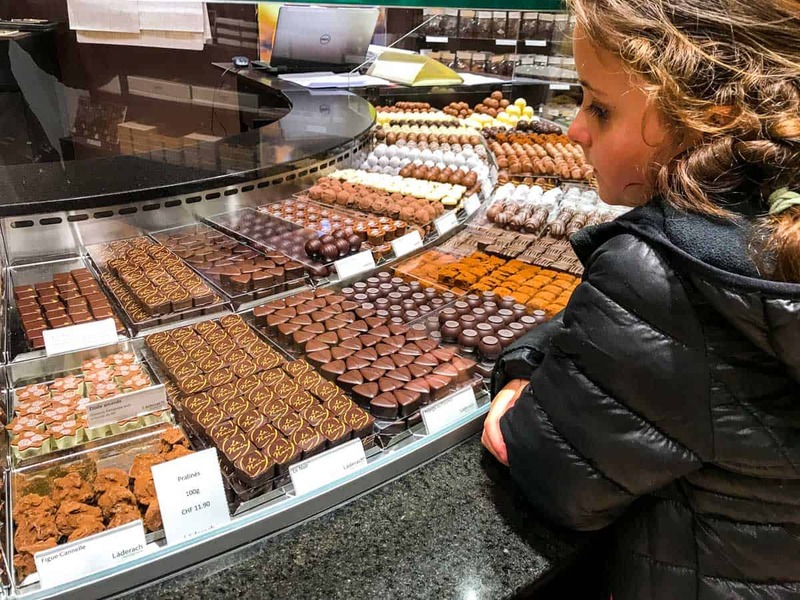 Unfortunately, the chocolate train only runs May through to October and was in operation when we visited in January – however that doesn’t mean you can experience all that the town of Gruyères has to offer – it simply means you have to make your own tour. Myla and I left Montreux bright and early by train and made our way to Gruyères. 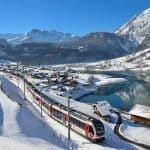 This train trip requires you to take the Golden Pass one of Switzerland’s scenic trains, so the trip is very beautiful. We were also required to change trains at Montbovon. The entire trip took around 1.25 hours. As soon as you get off the train you will see the La Maison du Gruyère right in front of the station. This is home to the famous and delicious Gruyère cheese. 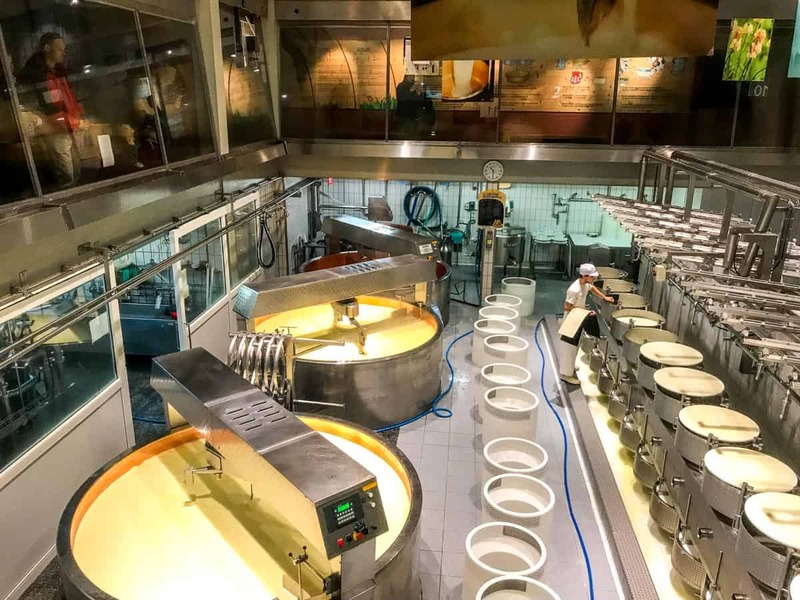 Here with a use of an auto guide you can do a DIY tour through the factory, watch the cheese makers hard at work and of course taste some yummy Gruyère cheese. We spent around 1 hour here and both Myla and I enjoyed the tour. There is plenty here for the kids to touch and watch to get them involved as well as interesting displays for the parents as well. Also there is a great playground out the back, if your little ones need to blow off some steam. We then headed up to the Gruyère village. To reach the village you can either take a 15-minute walk up a fairly steep hill or take the 263 bus which leaves just outside the Gruyères train station on a regular basis. We took the bus! The bus drops you right outside the village, so from here you can a stroll through the gorgeous little village up to the castle. Seriously this village is just so charming, the cutest little village I think I saw throughout our whole trip in Europe. At the end of the village is the Gruyères Castle. This castle was built in the 13th century and was the home of the counts of Gruyères during the middle ages. 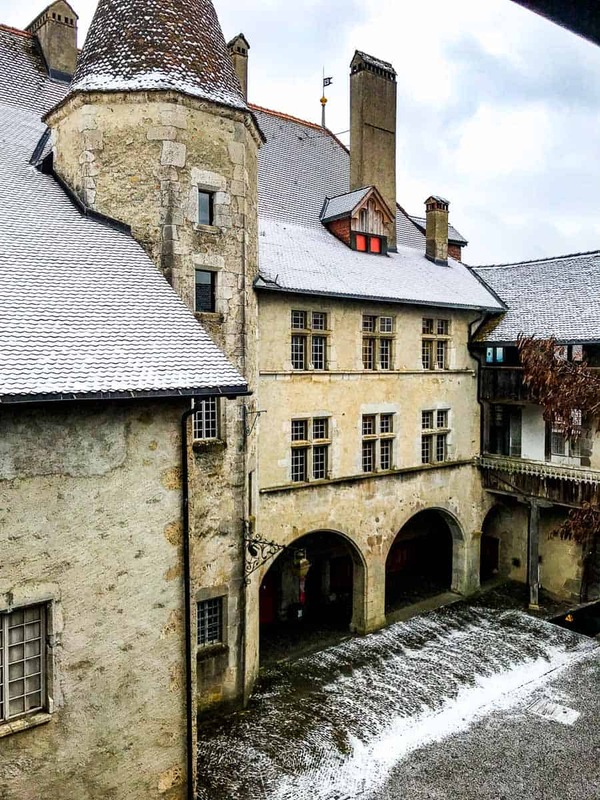 Since that time the castle has been used to house the representatives of the government of Fribourg and was an artist colony when it was owned by the Bovy brothers. From 1938, the castle has been opened to the public, where visitors can explore the castle’s many grand rooms, courtyard, gardens and dungeon. To help visitors get an understanding of what life was like in the castle, a short film is played prior to exploring the castle. If you’re a fan of the 1980s film Alien, then you are going to want to check out the HR GIGER Museum and / or bar. The museum displays an impressive collection of the work of the Swiss surrealist HR GIGER – who was the Academy Award winning designer from the movie Alien. Here you will find the artists paintings, sculptures, furniture and film designs. The museum was closed when we visited, so I can’t really comment on what’s inside, how there are a few awesome sculptures outside and there was a sign warning that the museum may not be suitable for young children. I’m guessing some of it could be a bit scary for them. However we did go to the HR GIGER bar which was right next door. The bar is designed and themed with the Alien movie in mind. It’s pretty cool and well worth a look. The other attraction in Gruyères which we didn’t have time to check out is the Tibet Museum. Here you will find Alain Bordier’s personal collection of various objects he’s collected over 30 years. Here you will find sculptures, paintings and ritual objects. Our last stop of the day may have even been our favourite! The Maison Cailler which is the Cailler chocolate factory. Firstly from Gruyères we took the bus back down to the Gruyères train station and from here took a train from there to Broc-Fabrique, which required a change of train in Bulle. The entire trip took around 30 minutes. From here it’s just a short walk to Maison Cailler. The chocolate factory tour starts with walking through various rooms which talk to you about not only the chocolate making process, but also the history of chocolate and in particular the history of Cailler chocolate. It’s done in a really fun way, with loads of moving characters and sounds, so the little ones will definitely love it, but I found it interesting too. Then it’s onto the touch, smell and eat room – where you are encouraged to touch, smell and eat various coca beans as thy make their way through the chocolate making process. But don’t eat too much – because just around the corner you get to see real life chocolate making AND you can eat as much as you like!!!! OMG Myla and I may have overdone it, because we left with very full tummies! But this chocolate is so delicious. From Maison Cailler, Myla and I took the train back to Montreux which required to changes, first at Palezieux and then at Lausanne. The trip home took around 1.75 hours. So there you have it – your very own DIY chocolate train trip, with pretty much the entire day being free of charge if you have a Swiss Travel Pass. Click here for more information about how we saved money traveling with a Swiss Travel Pass. Another place which we had on our list but simply ran out of time to visit was Les Avants. Les Avants is a little village not too far from Montreux which is said to be a wonderful place for hiking during the warmer months and snow activities during the winter months. Our plan was to go to Les Avants for their well-known toboggan runs. This is basically a mountain road which at certain times gets closed to traffic and is open for some sledding fun! If you want to join in the fun, rent your gear at Les Avants before heading to the top of the slope. To reach the slope you take an old funicular from Les Avants to the top at Sonloup. The trains from Montreux to Les Avants run regularly and the trip takes about 20 minutes. Another Montreux day trip you might like to do is to visit Rochers -De-Naye, here at an altitude of 2043m, you can enjoy fantastic panoramic views over the Swiss and French Apls as well as Lake Geneva. Depending upon what time of the year you go there are a variety of activities you can participate in such as skiing in the winter months and in the warmer months you can enjoy the various walking trails, visit Marmot Paradise (a small wildlife park where you can see several species of marmots) and visit the La Rambertia alpine gardens. It is easy to reach Les Rochers-De-Naye from Montreux, simply take the 50-minute cog railway from Montreux Station. The cost to reach Rochers-de-Naye is 70 CHF per adult and 35 CHF per child (6-16), however if you have a Swiss Travel Pass you will receive a 50% discount. Another great day trip from Montreux is a visit to Glacier 3000 which is located between Gstaad and Les Diablerest and open year-round. From the Pillon Pass, you take a 15-minute cable car ride up to the summit which sits at 3000 metres. This ride in itself is well worth the trip as the panoramic views of the swiss alps are spectacular. Alpine Coaster: the world’s highest bobsleigh track; the track is 1 km in length and operates from May to September. Snow Bus: take a short ride across the glacier. Dog Sledding: Let the huskies pull you through the snow for an experience of a lifetime. Walks on the Glacier: take the 2km path across the glacier. Look out Points: From here you can see the Matterhorn and Mont Blanc among other peaks. The Peak Walk by Tissot: The first and only suspension bridge in the world that connects two peaks. This bridge is 107 metres long and is not to be missed. Sledding: if you’re not a skier, grab a sled and slide down the slopes. Skiing: Around 28 kms of slopes available between October and May. From Montreux, it takes around 1.50 hours by public transport to reach Col du Pillon, where you take the cable car to the summit. Price is 80 CHF per adult and 40 CHF per child (6-15) includes cable car, peak walk, ice express, fun park and glacier walk. Click here to purchase your tickets online. 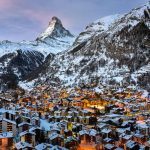 Holders of the Swiss Travel Pass receive a 50% discount. Montreux is not overly big, so in terms of the best hotels in Montreux for location, it doesn’t really matter where you stay. The local buses are also excellent and will have you any where you want to go with ease. 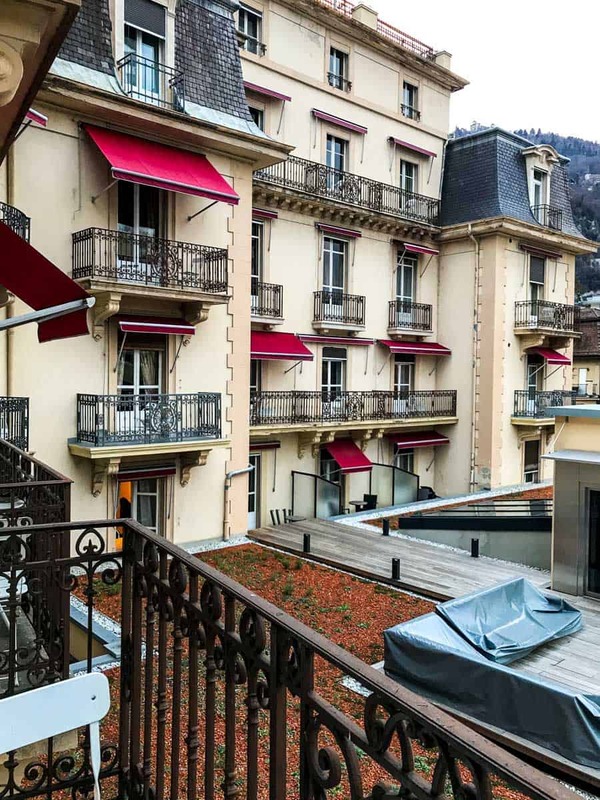 However I think an ideal hotel in Montreux is one that is located between the Montreux train station and the Montreux Casino along either Avenue des Alps or Grand Rue. 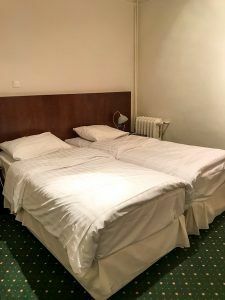 Like anywhere in Switzerland, there really isn’t any “cheap hotels in Montreux”, so given the public transport is so good, I’d just recommend you find Montreux accommodation that is within your budget and close to a bus stop. During our few days in Montreux, we stayed at J5 Helvetie, which is a stunning hotel dating back to 1865. The hotel is in a great location and given the spacious sized rooms, they are also fantastic value for money. J5 Helevetie is in a fantastic location. There is a bus stop right outside the hotel and the 201 bus comes past every 10 minutes, so you’re never far from anywhere you want to go. Plus there are shops, restaurants and cafes surrounding the hotel. Montreux is not overly big so you can easily walk from J5 to range of places in Montreux. The train station is only a 10-minute walk away, the nearest shopping centre is just a 2-minute walk away and it’s only 200 m to Lake Geneva. There are a variety of different room options at J5 including rooms suitable for couples and families. Given it was just Myla and I, we just stayed in a double room which was lovely. 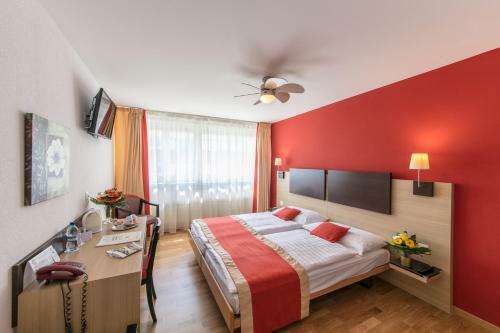 The rooms are extremely spacious with heaps of room for all your belongings, have a small fridge, TV, desk, dresser and even a lovely balcony where we could catch glimpses of Lake Geneva. 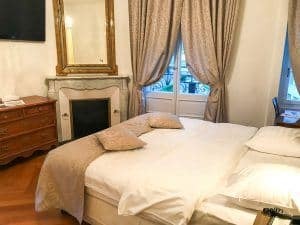 Given the age of the building, ceilings are high, rooms are equipped with period furniture and everything is lavishly decorated with lots of old-world charm. However whilst the rooms were spacious, the bathrooms were super tiny. But they were extremely modern and I’m certainly not complaining when it comes to a budget room. I did also check out the family rooms too though during our stay. The family rooms are like mini little apartments! These rooms have separate parents and kids rooms (both rooms have TVs), a separate sitting room, hallway, balcony and a spacious family bathroom. If you’re a family that likes lots of spacious but still within a budget – these are the rooms for you. Pictures below are from the family room. Breakfast Room: Each morning there is a good basic buffet breakfast served in hotel foyer. Breakfast includes a range of cereals, breads, boiled eggs, ham, fruit, cheese and more. 24-hour reception: Always someone available in case you need anything. And they are super friendly!! Free Wifi: – great for planning out the next days itinerary. Restaurant: The hotel also has a restaurant called La Brasserie which is opened 8.30 am to 11 pm daily. The restaurant looks very nice, but it didn’t appear really fit within our tight aussie budget, so we didn’t eat there. They do have a good kid’s menu though which includes a meal and dessert for 12 CHF which is good value. 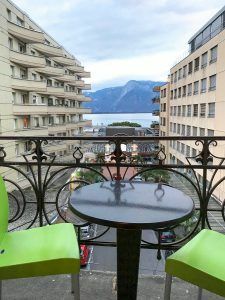 We thoroughly enjoyed our stay at the J5 hotel and would recommend it for families who want a great central and spacious place to stay in Montreux. But don’t my word for it, 54% of people on TripAdvisor rate it as excellent or very good. Look it is Switzerland, and so don’t expect super low prices. However, for a hotel of this standard I was completely surprised at the price. 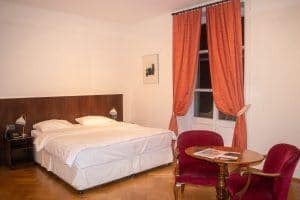 The family rooms start at around $211 AUD for a family of 4 which in Switzerland I think is exceptional value for money. Click here for more current pricing or to make a booking. If J5 Helvetie is booked out during your visit, here are a few other family friendly hotels Montreux offers. I have chosen all these hotels based on their ability to adequately accommodate a family of 2 adults and 2 children, having private bathroom facilities as well as being in a central location and an easy walk to transportation. Hotel Bon Port Montreux is located just off the main road which is full of places to eat and only 200 m from the nearest bus stop which is Bon Port. It is a 10 minute walk to the Montreux train station. 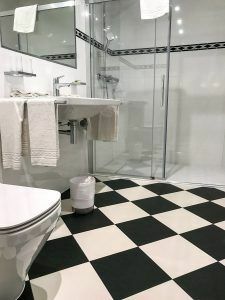 Families are best accommodated in a quadruple room which includes 1 double bed and 2 singles, free Wi-Fi, TV, private bathroom, tea and coffee making facilities and heating. 58% of people on TripAdvisor rate this hotel as excellent or very good and it’s rated 7.8/10 on Booking.com. 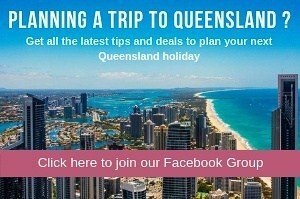 At the time of publishing the best rate was $190 AUD per night for 2 adults and 2 children on Booking.com. 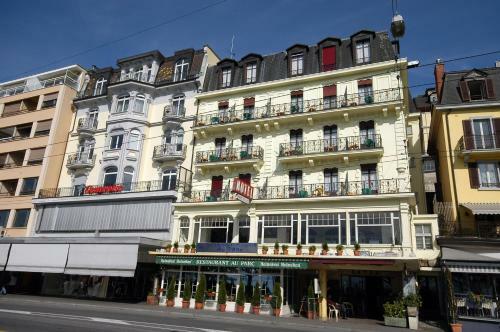 Click here to check the prices and / or to make a booking for the Hotel Bon Port Montreux. Hotel Parc & Lac is located in the heart of Montreux, just a 3-minute walk from the Montreux train station, 20 metres from Lake Geneva and surrounded by shops and places to eat. Families are best accommodated in a family room which includes 1 double bed and 2 singles, free Wi-Fi, TV, private bathroom, tea and coffee making facilities and heating. 44% of people on TripAdvisor rate this hotel as excellent or very good and it’s rated 8/10 on Booking.com. At the time of publishing the best rate was $197 AUD per night for 2 adults and 2 children on Booking.com. Click here to check the prices and / or to make a booking for Hotel Park & Lac. In terms of getting to Montreux, the nearest airport to Montreux is in Geneva, so you will most likely be getting to Montreux by train either from Geneva airport or somewhere else within Switzerland. Getting from Geneva to Montreux by train or from wherever you are coming from within Switzerland is very easy. Simply download the SBB Mobile App and use this to plan your trip. Once you arrive at the Montreux train station you can either walk to your hotel or if need be catch the very frequent 201 bus. Again use the SBB App and it will tell you exactly which way to go. We arrived in Montreux by train from Wengen and so from Interlaken to Montreux took the Golden Pass, one of the Swiss scenic trains, which made for a beautiful journey. 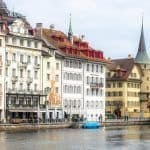 We were traveling around Switzerland with Swiss Travel Passes which I highly recommend as it will save you a tonne on transportation as well as provide entry to a range of attractions. Click here to read our post on why we recommend the Swiss Travel Pass. Alternatively click here to see the range of Swiss Travel Passes available. As I keep saying the public transportation in Montreux is excellent! Whether you are travelling with in Montreux or Vevey the buses are fantastic, or if you are going further a field the trains from Montreux leave regularly too. Again just download the SBB Mobile App and use this to plan all your trips. If you have a Swiss Travel Pass you can travel free on pretty much all the public transport, but even if you don’t your hotel will give you a Montreux Riviera Card which allows you free transport on the buses and trains within the Montreux region as well as 50% off on a range of other transportation and attractions. So make sure you grab this from the reception of your hotel. Montreux is a beautiful charming city, with a stunning location nestled between Lake Geneva forefront and the Swiss mountains. There are some great family friendly attractions in the city and fabulous day trips to be had close by. It is also super easy to get around which makes life so much easier when traveling with kids. You won’t need to walk for long distances as the buses are everywhere and super regular. We thoroughly enjoyed our stayed in Montreux and highly recommend a visit there. PS – if you are headed to Switzerland, you can find all our other Switzerland content here. Thanks to Montreux Riviera Tourism, J5 Hotel Helvetie and La Gruyere Region Tourism for hosting our visit. However all opinions expressed in this post remain my own and haven’t been influenced in any way. Please note that this post contains affiliate links, which means that if you make any bookings using the links I may receive a small commission at no extra charge to you. This helps me provide this helpful information to you at no charge. Want to keep this handy? Click on the image below and pin it to Pinterest. 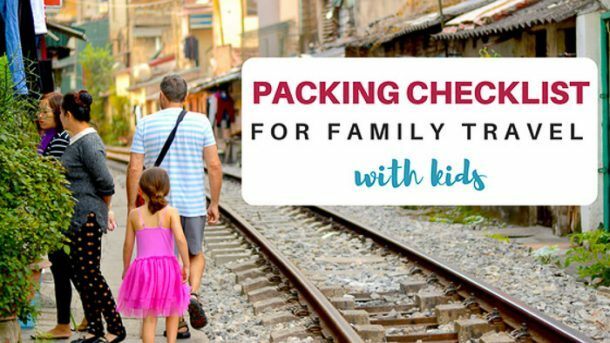 Get the packing checklist now! Don't worry we will keep your email safe & won't spam you!! 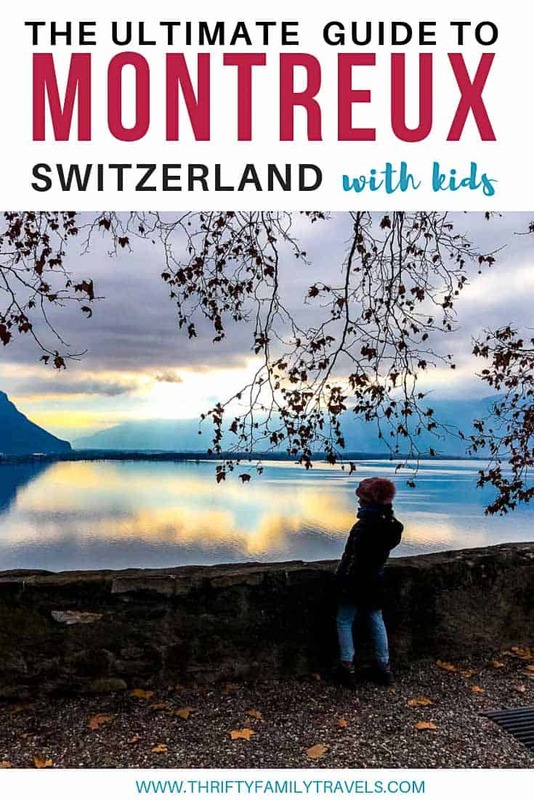 Get our Montreux with Kids Guide FREE! Get our free guide which includes everything you need to know for a stress free trip to Montreux with the kids. It includes the best places to visit, best budget family hotels & how best to get around. Start planning that Montreux trip now! Thank you! Now check your email to confirm your request.